While wandering aimlessly around in Ho Chi Minh City, I found a wine shop which caught my interest. It’s name was “Bacchus Corner”. Later I learned that there is also a Bacchus Corner wine shop in Hanoi. I browsed through their shelves and picked up an interesting bottle of wine. 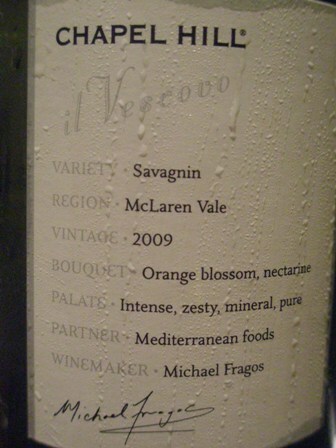 A ‘2009 Il Vescovo Savagnin’ by Chapel Hill Winery in McLaren Vale, South Australia. When I bought the bottle I did not fully understand and appreciate what treasure I had acquired. I bought the wine because I had never before heard about the grape variety. What is Savagnin? Well, Savagnin Blanc is a French grape variety grown mainly in the Jura region. However, Savagnin Blanc is also known as Traminer, grown around Tramin, a smlal Tyrolean town in Northern Italy. Experts think that the variety has “traveled” along the Alp mountains to the Jura region of France. I also bought it because I found that most wines on offer were quite expensive. 340.000 Dong which is about US $ 17 is not small money for a bottle of white. 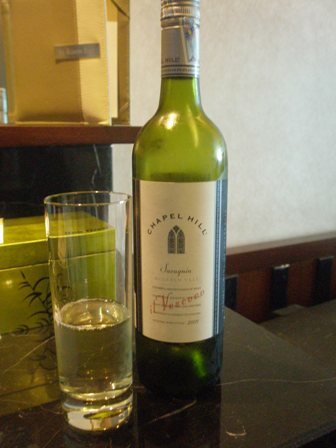 Chapel Hill Winery is of cause a well known producer of premium and award winning wines in McLaren Vale, South Australia. If you want to know more about this fascinating wine region, please visit the blog called “Lonely Grape” by Shane which makes an interesting read (it also contains interesting video clips). When researching this wine, I discovered that wine critics had awarded it 92 Parker point! Woh, I thought, what did I accidentally buy? 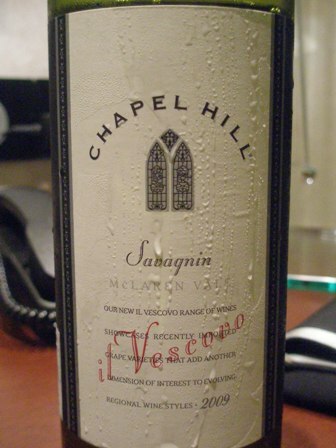 The wine maker is Michael Fragos, and he has done an excellent job. Alcohol is low (12.5%), and colour is a straw yellow. 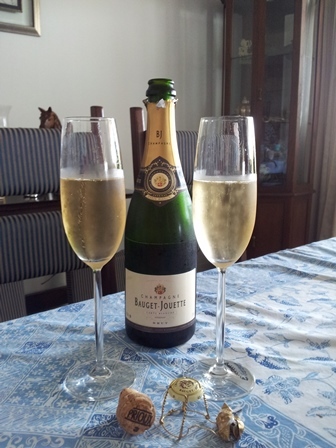 The wine is fresh and clean and shows fruity (lemon) and flowery aromas. It finishes rather abruptly but that does not take away anything from this exuberant and explosive white wine. The crucial question you might ask is: Would I make it my house wine? Well, probably not. First of all it is not available in Bangkok were I live. Second, because of the price I most probably could not afford to drink it regularly. If you reside in Australia you belong to the lucky ones, I guess. My suggestion: indulge yourself. If you are visiting Saigon/Ho Chi Minh City and you stay in the Rex Hotel, Bacchus is just around the corner in walking distance. Check it out. “In all things there is something of the marvellous”, Aristotle, 384-322 B.C. Four days ago my colleague and friend Christian brought us a bottle of Riesling Cuvée from Saale-Unstrut, the most northern wine region of Germany. It did not last long. The first occasion was excuse enough for us to open this rare bottle of German wine. 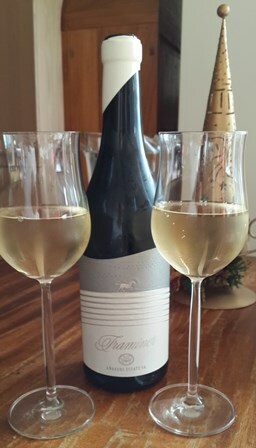 The ‘2007 Riesling Traminer Saale-Unstrut’ from the Winzervereinigung Freyburg-Unstrut (a type of co-operative) was a most amazing wine, a treasure here in Bangkok. Saale-Unstrut is not only the most northern wine region of continental Europe but also one of the smallest in size (below 700 ha). It takes it’s name from two rivers: Saale and Unstrut. Grpae growing and wine production, though, go back a long way. The earliest prove dates from around 998 A.D. and covers the wines from Memleben Abbey. The climate in the region is generally rough and very cold. Only in very warm years can good wines (Spaetlese, Auslese) be made. 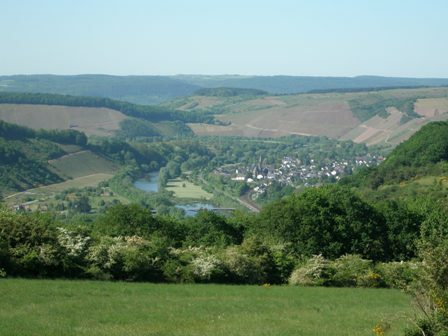 Yields are usually very low in comparison with other German wine regions. 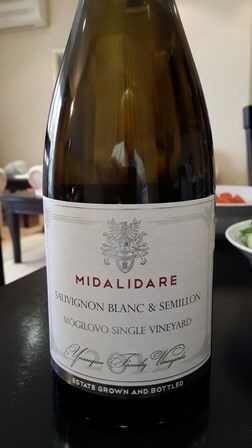 About 75% of the grapes grown are white varieties, among them Mueller-Thurgau, Silvaner, Pinot Blanc, Riesling, Traminer and other white varieties. However, given global warming more and more wines from Saale-Unstrut are of outstanding quality and find eager consumers. We had this Riesling-Traminer Cuvée with Sunday lunch. I must admit that I never before heard of such a cuvée blending Riesling, my favourite white wine, with Traminer. Both are aromatic varieties but of a very different nature. The Cuvée displayed a honey aroma and tasted like peaches and apricots. The finish was acidic and sharp but not unpleasant. 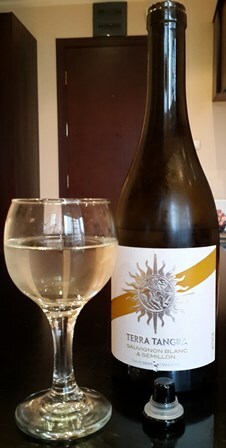 The wine has 12% alcohol, is very young but well balanced. Unfortunately, we had only this one bottle. It matched the food perfectly. So what was the food? Well, it was a recipe from my favourite cooking book, the Philosopher’s Kitchen by Francine Segan which contains recipes from ancient Greece and Rome. “Grouper with herbs and pecorino” (originally the fish in the recipe was ray fish, Francine uses skate, but any white fish will do) was the plate of the day. Well, first bring white wine to a boil over high heat until reduced to half (5-6 minutes); season the fish with salt and pepper. Then add marjoram and minced herbs, oil and mix with the hot wine, add fish and cook until firm, about 3 minutes. Serve topped with the cheese and a sprig of marjoram. The recipe can be found in the above book of Francine Segan page 97 (From Life of luxury, Archestratus). We had it with potatoes and a salad (cucumber with orange and walnuts). Needless to say, the food was very yummy. The four of us gobbled it up in no time. Especially my children were amazed (usually they prefer meat) that fish can taste that good. It is only the second recipe I know of where fish and cheese are successfully matched together. After lunch it was espresso and Averna and some Belgian chocolates. I followed up with a cigar (a Casa de Torres, CT, Nicaragua, hand made).